When it’s time to bring your Honda in for service, it’s impossible to top the experience provided by Okotoks Honda – the #1 Google Rated and Reviewed Honda Dealership south of Calgary, Alberta, Canada. Just ten minutes south of Calgary, our state-of-the-art service centre will have you not only completely satisfied with the work performed, but also relaxed and entertained while you wait. Our qualified, Honda Trained and Certified technicians use the most cutting-edge tools and techniques to service your car or truck, so you can be sure that your vehicle will truly receive the best possible care. We know your Honda inside and out, so you can trust us when it comes time to troubleshoot or perform any routine maintenance. We don’t discriminate against other import and domestic makes and models. Our certified and trained technicians are knowledgeable about different types of cars. Every single one of our technicians are mandated to continuously update their skills to provide our clients with a fully certified and trained experience. Our trained and certified technicians can install windshields and all protection items like 3M, Undercoat, RustProofing, and Remote Starters with top-rated quality control. You’ll appreciate our 24/7/365 Service Appointment Booking tool to schedule your next oil change, windshield replacement, or just a simple warranty check. Save time and effort. Our technicians take pride in delivering work that is both on schedule as well as affordable. Every type of Honda maintenance and repair will be performed in the most efficient manner possible. Our comfortable waiting lounge is truly the automotive experience you deserve. You’re welcome to enjoy our complimentary Wifi-equipped office space, where you’ll be able to catch up on some work of your own while you wait. There’s also a children’s play area with a TV and DVDs to keep the little ones entertained. 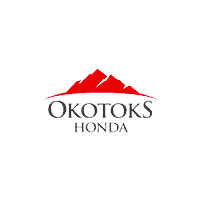 Okotoks Honda is your premier destination for excellent service, outstanding facilities, and a one-of-a-kind experience.